A stunning pearl necklace featuring certified cultured, freshwater pearls. Supplied in presentation case with certificates. Pearl size 6.5mm. Necklace measures 18". 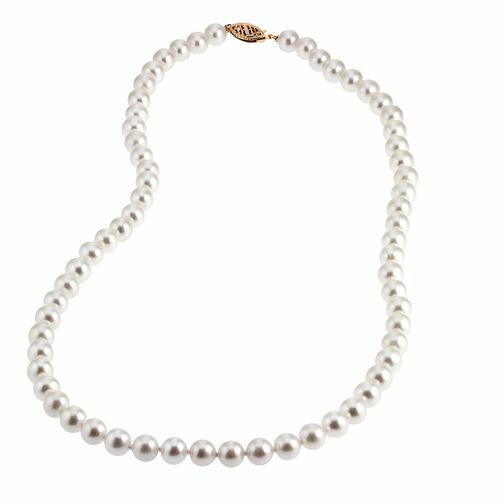 9ct Yellow Gold Certified Cultured Freshwater Pearl Necklace is rated 5.0 out of 5 by 2. Rated 5 out of 5 by Anonymous from Stunning necklace I bought this as a Christmas present for my mother, after she happened to mention that she’s always wanted a necklace made with real pearls. This necklace is simply stunning and whilst I’ve never been a particular fan of pearls, I’m now a convert.